The announced changes in the Negative Investment List (DNI), which should attract more foreign Investment into Indonesia is still pending. In the X Economic Package, which was released in February 2016 Indonesia promised to make some major changes in the so-called Negative Investment List. Several business sectors, which have been closed or partliy restricted for foreigners should be opened within this year. 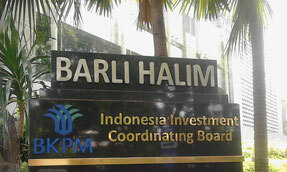 The Head of the Investment Coordinating Board, Franky Sibarani said in an interview with local news agencies, on 4th of April that there are currently 10 ministries involved updating the Investment List and still some ministries have not yet confirmed the proposed changes. He is confident that the confirmations will be received by April in order to start the process and also the implementation process within the ministries. Changing the Negative Investment List is not a simple administrative act as far as a presidential decree needs to be revised. According to Franky Sibarani the draft is well prepared but not fully confirmed. From the last of change of the Decree in 2014 we have learned that from proposed changes to the final release of the decree several months can pass by. We advise all our clients who want to invest in an area which is under revision to wait until May 2016 to get a clearer picture and a solid legal standing for their investment in Indonesia. If you have questions in regards to investment and business in Indonesia feel free to contact us. We keep you posted on any news in this regards.